This entry was posted in Uncategorized and tagged artifacts, comparison, fov, image quality, optics, radial-g, rift, seated, vive by petert. Bookmark the permalink. Thanks, this was very useful! Would be interesting to see your results of playing with the distance adjustments on the Vive. Were this measurements taken at the closest distance to maximize fov, i take it? How much smaller is it furthest out, and what effect does it have on SDE? But yes, they were done at the closest distance. I never changed away from that so far since it’s still sufficient for me even with my glasses on. Great article. I’ve never experienced VR and am keenly awaiting the arrival of my vive! I’m looking forward to playing some in depth sims such as DCS World with the vive but am a bit concerned as some people have said that the resolution isn’t good enough to read the gauges. Could you tell or show me using a similar method to the pictures in the article what the image produced by vive actually looks like? 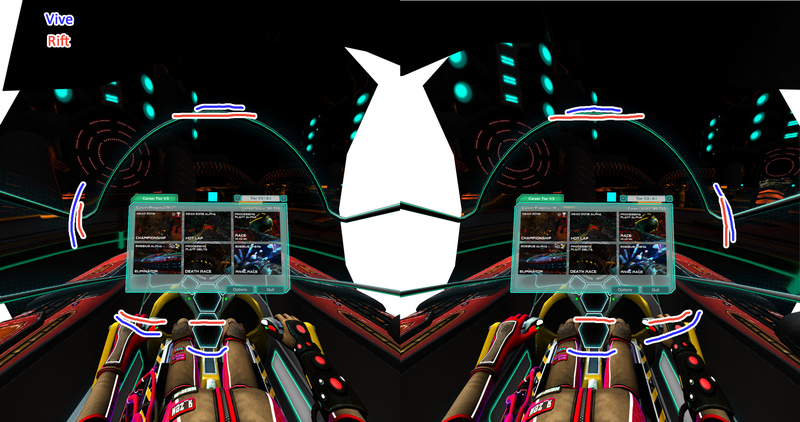 Your simulated images if the distortion are really useful for someone naive to VR. Thanks! Thanks for writing up this comparison, I found it really useful! I played this game at the gadget show live on the CV1, and I must say I have not felt such an adrenaline rush… Well, ever! 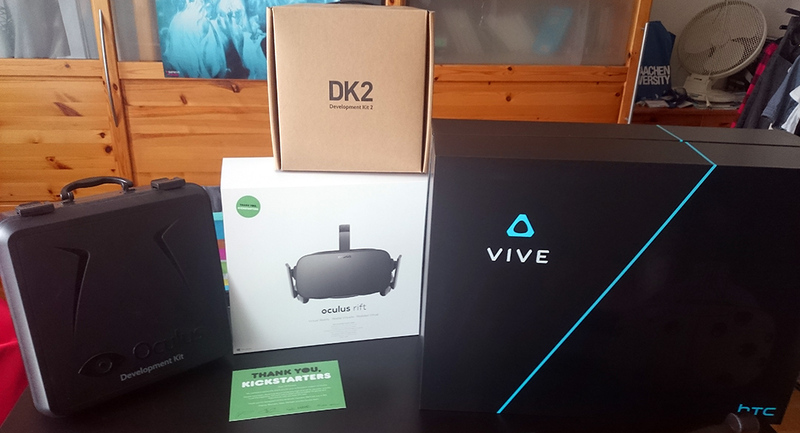 I’m a bit of a Vive fanboy since I tried roomscale, but I noticed no blur at all on the CV1 and thought that it’s perfectly good for sit down experiences (for that game at least, I haven’t tried others on the CV1). The one problem I found was that I couldn’t see the status of my shields while I was racing. I couldn’t look away from the track to check my race car’s dashboard, but with the Vive, I think that eliminates that issue, judging by your comparison. I’m glad I ordered the Vive.